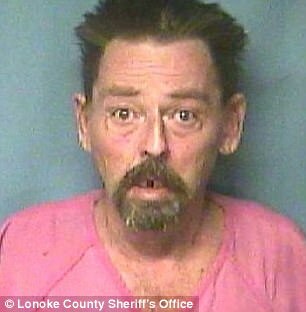 An Arkansas man identified as Tony Thomas, 58, of Carlisle has been charged with capital murder after police said he fatally stabbed his wife for changing the TV channel from a football game he was watching while he went outside to smoke. According to Dailymail, Thomas confessed to killing his wife, Elke nearly two months after the incident. The incident happened during a domestic argument in November. He's been jailed since the incident. 'He went outside to smoke and upon returning, he discovered that Elke had changed the channel. He asked about the score and she began yelling at him and got in his face,' Lonoke County Sheriff's Detective Anthony Counts wrote in an affidavit. Tony said he blacked out and 'came to' while standing over the woman with a knife in his hands in their blood-spattered home, according to the affidavit. Court records show his bond is set at $1million. Deputies were already responding to the scene in the 2000 block of Hamilton Loop in Carlisle because a woman who had been at the home flagged down someone passing by to report the stabbing. A man who identified himself as 'Tony' later called the sheriff's office and 'asked the dispatcher for a "meat wagon and police" because he'd killed his wife,' Counts wrote. The affidavit says the stabbing occurred on November 19, 2017, in the home's living room, where blood was found on the floor, the walls, a table and the TV. Counts wrote that it appeared the woman's body was dragged through the dining room to the back yard, where it was found beneath a blanket and a tarp. Responding police officers found Tony sitting next to his wife's body covered with the blanket.